Final and major update; more rooms, decoration, interactivity, special collectables, secrets, strange incidents, hidden passage ways and a bonus. 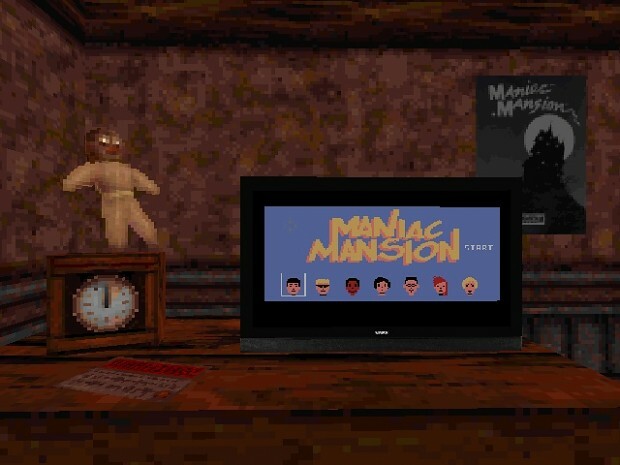 Loosely based on the 1987 point & click adventure Maniac Mansion by Lucasfilm. If you enjoy running around in a huge house with a great variety of places then you might want to try this one. Besides the secrets there are a few traps as well so beware! Hints can be found throughout the house in one way or another. Guaranteed to keep you busy for well over 20 minutes and more than twice that time if you want to fully explore the map! Have fun!